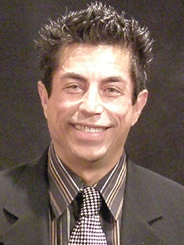 Castillo is an artist and founder of the Aldo Castillo Gallery ( launched in 1993 ) . He has opened his business to benefits for a wide range of gay, AIDS and other social causes. His gallery has helped represent a wide range of Latino and Latina artists from around the world. He has been openly gay and openly HIV-positive for many years. Castillo immigrated to the U.S. in 1985, from Nicaragua.